A KAIST research team has developed a lithium sulfur battery (LSB) that realizes 92% of the theoretical capacity and an areal capacity of 4mAh/cm2. LSBs are gaining a great deal of attention as an alternative for lithium ion batteries (LIBs) because they have a theoretical energy density up to six to seven times higher than that of LIBs, and can be manufactured in a more cost-effective way. However, LSBs face the obstacle of having a capacity reaching its theoretical maximum because they are prone to uncontrolled growth of lithium sulfide on the electrodes, which leads to blocking electron transfer. To address the problem of electrode passivation, researchers introduced additional conductive agent into the electrode; however, it drastically lowered the energy density of LSBs, making it difficult to exceed 70% of the theoretical capacity. Professor Hee-Tak Kim from the Department of Chemical and Biomolecular Engineering and his team replaced the lithium salt anions used in conventional LSB electrolytes with anions with a high donor number. 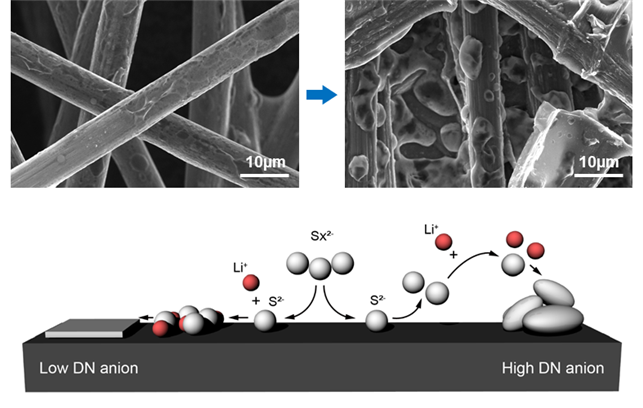 The team successfully induced the three-dimensional growth of lithium sulfide on electrode surfaces and efficiently delayed the electrode passivation. Based on this electrolyte design, the research team achieved 92% of the theoretical capacity with their high-capacity sulfur electrode (4mAh/cm2), which is equivalent to that of conventional LIB cathode. Furthermore, they were able to form a stable passivation film on the surface of the lithium anode and exhibited stable operation over 100 cycles. This technology, which can be flexibly used with various types of sulfur electrodes, can mark a new milestone in the battery industry. 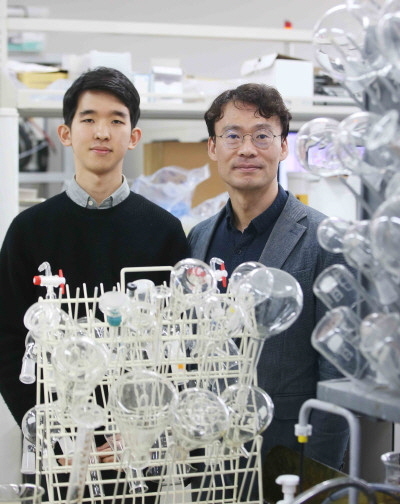 This research, first-authored by Hyunwon Chu and Hyungjun Noh, was published in Nature Communications on January 14, 2019. It was also selected in the editor’s highlight for its outstanding achievements.